If this doesn't get the conversation started, nothing will! 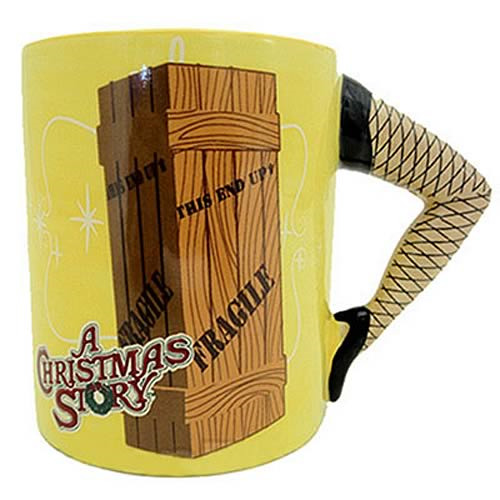 Featuring the image of a shipping crate with the word FRAGILE on it, and with that famous leg lamp forming the handle, this incredible sculpted mug based on A Christmas Story is a one-of-a-kind gift that's sure to be appreciated for years to come. Measures about 3 3/4-inches wide x 3 3/4-inches tall x 3 1/4-inches deep. Ages 14 and up.